On a whim, I applied to join the Operation Wallacea – Guyana expedition in 2016. At the time, I had a vague idea of what Opwall stood for, and I was hoping to join a friend who told me about the expedition. Fortunately for us, local students from the University of Guyana had the option (and still do) to go through a selection process with the Iwokrama Research Centre. Those who were successful had the costs covered for them. Unfortunately for me, I had not been selected in 2016. A year had passed and from all the tales my friend told me about the 2016 expedition, I was more than determined to apply again to be one of a handful of students who were sponsored. Luckily for me, I was selected that year, 2017, and I was joined by three other local students and my friend who returned as a junior staff member. It wasn’t long until I realised the expedition would become an integral part of my life. 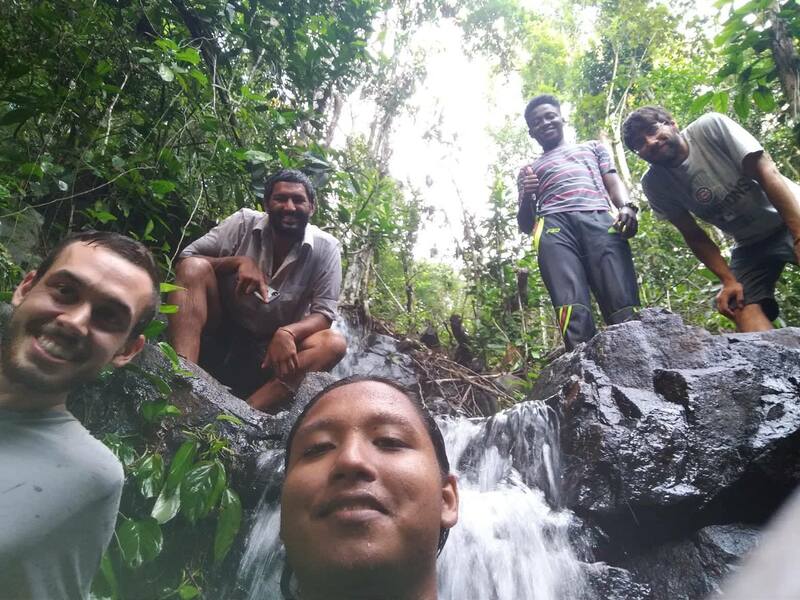 Over the course of the expedition, I had the opportunity to converse with the amazing scientists and local peoples about various topics, and in doing so, I solidified what I wanted to come of my final year research project. Beyond that, however, I had a chance to create new friendships with the research assistants who joined from the UK and North America. Regardless of my interaction with the people, the most striking aspect of the expedition was the expedition and the rainforest, which oddly enough, locals from the coast tend not to ever experience for themselves. I became enthralled in the beauty and complexity of the forest beyond what I had ever expected, as I could literally hold the fauna and flora in my palms, I became sure that this is what I wanted to do throughout my life. So it goes without saying that I would want to return (and with a bit of persistence and anxiety) I was hired in 2018 as a junior staff member. Furthermore, I was given a new position as the database technician, which is quite an important role in any sort of research project, and it was in hindsight of helping with data entry on the previous expedition. Also, I was given a secondary role to assist with surveys and the unspoken one to ensure the students have a good time. As this was my first time being in a staff position it took some time getting used to the role to the point that many of the students throughout the trip were initially unsure of whether I was staff or student. Quite frankly, I still felt like a student for the first few weeks until I really started to get into my work and most of the students recognised me as a staff member. Beyond that I found myself in an odd position with the roles I was tasked with filling. I had to split my time between assisting with surveys, managing the database and interacting with the students, all while I tried to enjoy myself and interact with other staff members, among other activities beyond my job obligations. 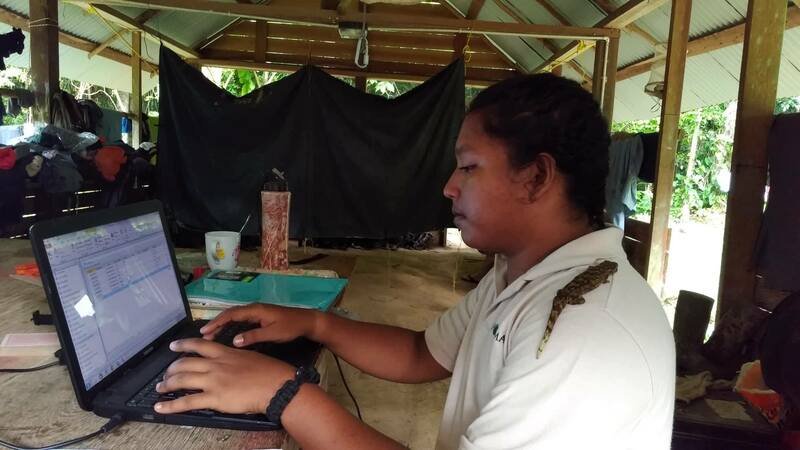 For me, I had no fixed schedule as I was not assigned to a specific survey, although I did plan on spending most of my time assisting with the herpetology and forestry surveys as they were my favourites from the previous year. As such, I tried to initially work on surveys on the first day of camp, then work on the database on the following day and alternate between surveys and database management. I quickly realised that being in the rainforest would not allow my plans to flow as smoothly as I would have liked. While the idea of collecting all the survey data sheets from one day on the following day made sense, I didn’t have the sheets all the time since the scientists also required them. Not to mention, I also had to work at the mercy of our trusty generator, forcing me to mainly work at night when the herpetology surveys were being conducted. But none of that stopped me from doing what I had to do, and while I spent most of my time working on the database, I made sure I got my fill of survey work and a worthwhile experience. As a matter of fact, database management is a delicate and worthwhile process if you can do it correctly. I may not have been able to go out on surveys all day every day but from working on the database I knew exactly what was happening every step of the way. By the end of the expedition I could give you a list of the common species of each taxon surveyed which is a stepping stone to one of my life goals – to have knowledge of the biodiversity of my country. Additionally, if you’ve ever done a project such as this, you would know the feeling of accomplishment and relief from finally finishing all the work. So as database technician, I was able to feel this in waves at the end of every camp site and every survey, which was much more rewarding than when I was a student the previous year. All in all, the expedition this year was astounding, as per usual. The freedom of the position I held allowed me to connect with so many people in a way that I was unable to as a student and it is truly a position to appreciate because it allows you to be integrated into the group in your own special way and you serve as a hub of information, interacting with all of the survey teams. The experience was definitely new and strange to me but I would do it all again given the chance.